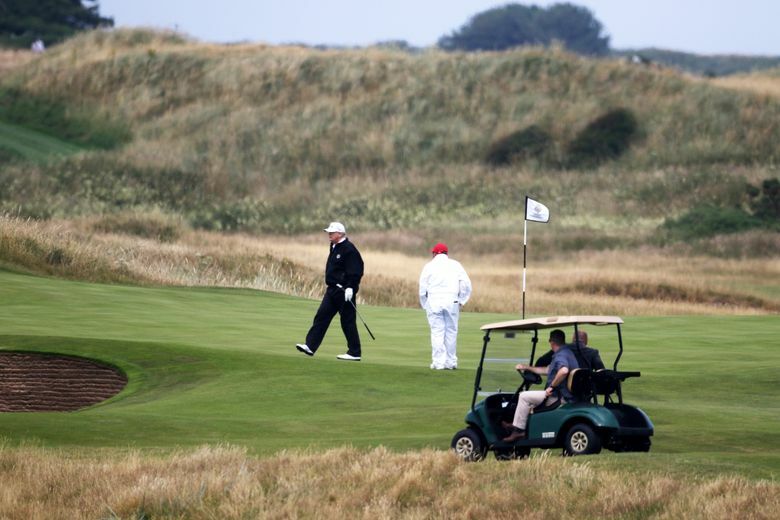 Fact check: Have U.S. taxpayers spent $72 million on Trump’s golf outings? 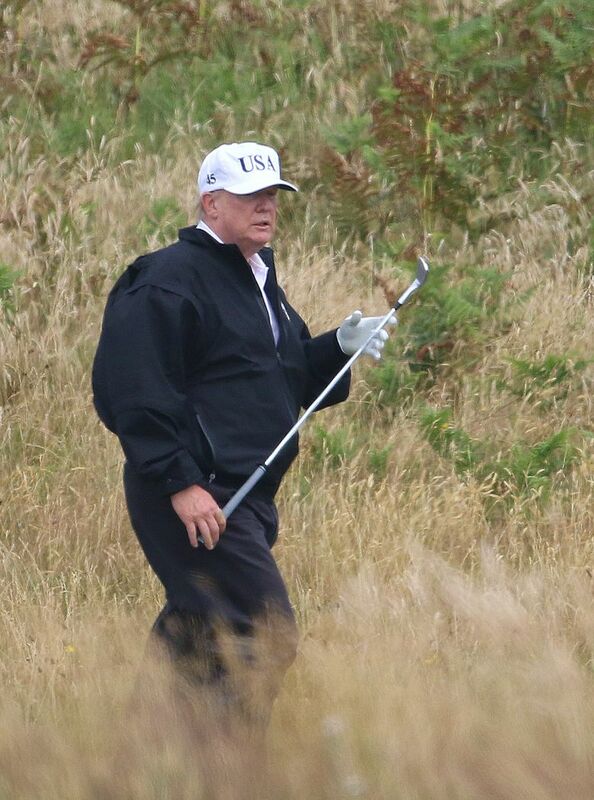 As a candidate, President Donald Trump was heavily critical of Barack Obama’s golf habit and once told an audience that “I’m going to be working for you. 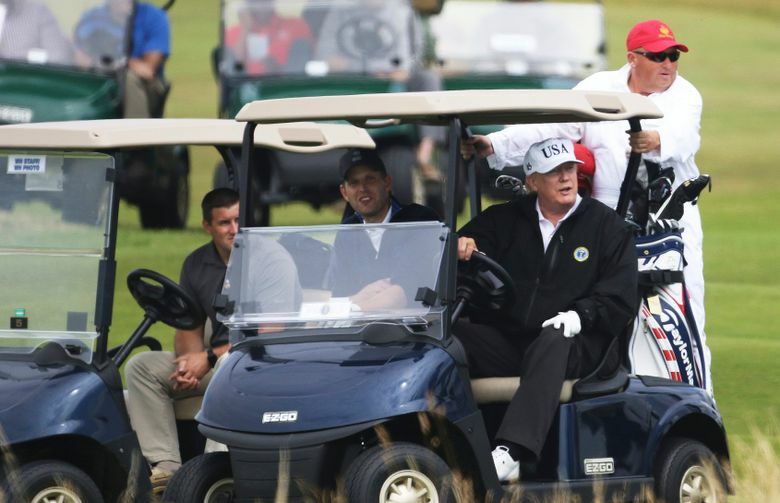 I’m not going to have time to go play golf.” So obviously that makes his own golf habit fair game for scrutiny. About $45 million of the $72 million total comes from an estimate of the cost of Air Force One flights to Mar-a-Lago in Florida and Bedminster, New Jersey. Germain’s numbers appear based on about four hours of flying back and forth to Florida and 1.5 hours back and forth to New Jersey, at a cost of $518,000 an hour. Germain cites another Bump article for this $518,000 figure, but that came from what he called “a very loose estimate” early in the administration, based on travel by Obama, and it turned out to be too high. (The author of a Government Accountability Office report on Obama’s travel later told the AP that the figures in that report could not be used to calculate the cost of Trump’s travel because Obama included a stop that required additional support equipment.) The GAO report indicated there was a cost for support aircraft to accompany any president, but that figure is unknown in Trump’s case. The figures in this tweet is a great example of false precision. We do not know exactly how many days Trump has golfed and we do not know how much has been paid by taxpayers for his golf outings.